At Springfield, Science is taught as part of the creative curriculum. Pupils observe, explore and ask questions about living things, materials and events connected to their topics. In Key Stage 1, pupils begin to work together to collect evidence to help them answer questions and to link this to simple scientific ideas. They conduct simple experiments to test these ideas and evaluate their findings. They communicate their ideas using scientific language, drawings, charts and tables. 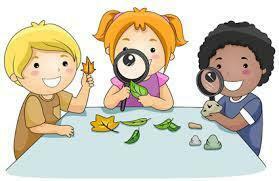 Children are encouraged to ask questions and comment on how science relates to their own lives. During Key Stage 2, pupils build on their previous learning, begin to make links between ideas and explain things using simple models and theories. They apply their knowledge to familiar concepts, everyday things and their personal health. Working on their own or with others, they carry out more systematic investigations, and communicate ideas using a wide range of scientific language, diagrams, charts and graphs.